Imagination is the greatest weapon humanity has. With its help, one can defeat boredom, overcome despair and fight against depression. Imagination is the only suitable fuel you’ll ever need for creativity, inspiration, and thirst for life in general. It runs the world and makes us rotate around our goals and reach them. Therefore, it’s vitally important for every person to develop and expand it. The easiest and the most efficient way of doing it is hidden in books. Thus, we present you with the list of 10 books that will improve your imagination. Marvelous landscapes of evergreen Ireland, mazes of secrets, unexpected twists and characters you fall in love with at once: all these ingredients are fantastically mixed in the book of this famous Irish author. While reading this amazing inspirational book, all the events boost in front of you. You will be surprised how vivid and lively these characters are. It will be no challenge for your imagination, as far as fantasizing about them seems to be the easiest thing in the world. However, all the colors, feelings and warmth that this book radiates will influence your imagination for sure. The Little Prince proves that dreaming can thrive at any age. This book is not for a simple child: it’s written for that very special child that lives inside each of us. It awakes the feeling of warmth and peace in our hearts. Soaked with love, friendship, respect and fantasy, The Little Prince takes your imagination and carries it towards stars and planets to that very one, where the prettiest Rose in the Universe is waiting to listen to his adventures. What can develop your imagination better than a mystery? Especially the one solved in such a skillful and clever way, as done by Sir Conan Doyle’s incredible characters? Step into Dr. Watsons’ shoes and try helping marvelous Sherlock Holmes by sorting out the crimes he faces. One can only wonder how Sir Conan Doyle succeeded in creating such genius characters: he was probably genius himself. Finding out more about Sherlock’s adventures will assist in bringing your imagination to its highest level. The very title of this book takes your imagination off. 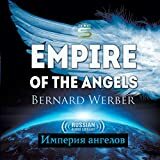 The Empire of Angels: this strong, substantial and yet originative title makes you inquire what is really hidden behind. Having read this book, you’ll be left with an exalted feeling of getting to know some great secret you’ll never be able to forget. The imagination gets broadened by an innovative vision of Bernard Werber, who succeeded in presenting his book with a drop of French charm and a sparkle of philosophical knowledge. People are judged by their appearance at first but books are first judged by their titles. Love Lasts Three Years intrigues, you will be constantly trying to predict what is going to happen next but you’ll never be able to succeed in it. The book is devoted to love in its different appearances: pure, cynical, passionate and mystifying. Your imagination will be widened by your interest in what is going to happen on the next page, being frightened and entertained at once. A story of a beauty turned into a beast. A story of a man who wasn’t capable of loving anyone but himself. A story of a picture that served as a mirror to what was going on inside a person’s soul. As pretty as a picture - that sounds threatening in terms of this tremendous story written by Wilde. You will be in a constant tension, imagining what all the possible events this story may include. Even though you have heard of Dorian Gray or even have seen some films about him, the book will still be able to amaze you by all those expressive images that will arise in front of you. Scotland in all its foggy beauty gets opened in Setterfield’s astonishing novel. The secret concealed in every page of this book will tackle your imagination. However, the real denouement will be far from the one you used to think of. The Thirteenth Tale absorbs captivating twists along with amusing characters and the biggest mystery, a dark family secret, revealed step by step in front of you. History is told by winners, therefore it can never be trusted completely. Dan Brown is surely a winner, for he created his own history, filled with plot and conspiracy, secret orders and breathtaking adventures. The story contains everything a good modern novel should in order to reach the top and become a bestseller. It widens your attention span along with your imagination’s abilities, so you’ll be ready to cope with all the difficulties that are waiting ahead. This interactive book will teach you everything you need to know about your imagination. Moreover, you’ll find out not only what it really is but also how to use it in the most beneficial way. Your imagination will be your best friend; you’ll be capable of conquering everything and everyone with its assistance. 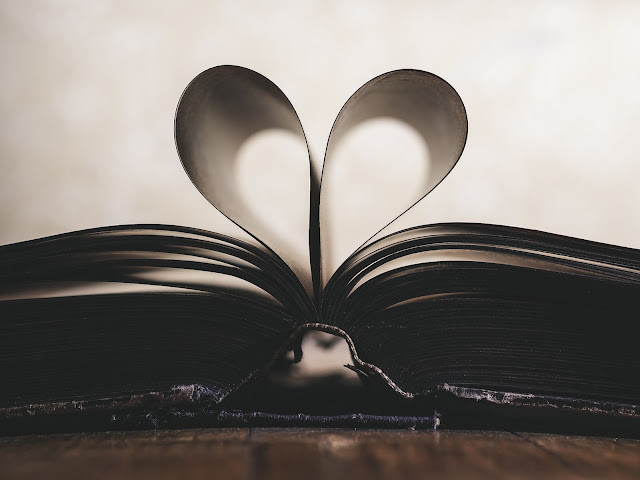 Make sure you don’t leave this book unnoticed: it’s worth your attention, as much as your imagination. Why are people afraid of darkness? Because of what is concealed inside. Fear develops your imagination much better than anything else. It is the basic feeling people experience which leads to their immediate reactions and contractions. Imagination can either increase your feeling of fear or help you find the solution that will guard you from those factors you’re afraid of. Neil Gaiman along with other prominent authors show that even the simplest situations can be turned into acute problems by means of a single yet powerful imagination. Natalie Antiuk works for DesignContest, a marketplace that conducts web design services of the highest quality. She is keen on web design combined with its usage in launching startups and marketplaces. She also studies social media and their influence on people's behavior.